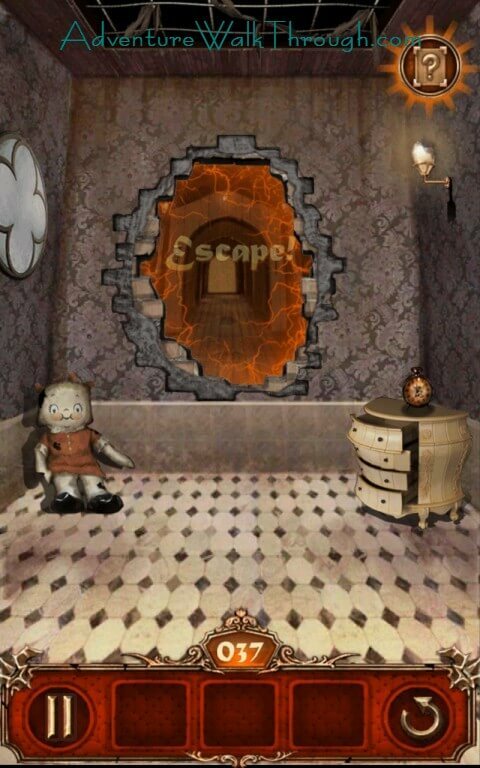 If you are stuck with Escape Action, you have come to the right place with all the guides to help you escape from each of the rooms. 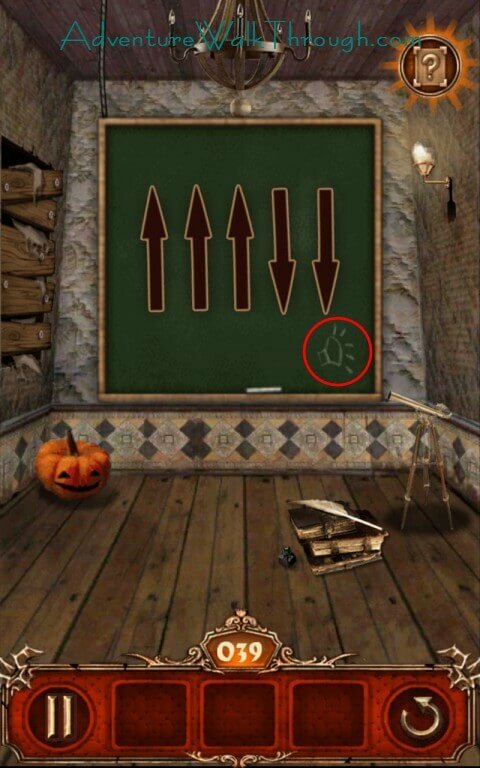 We have compiled the walkthrough guide to help you escape from level 36 through level 40. Please feel free to leave comments if you still have trouble with any of the stages. 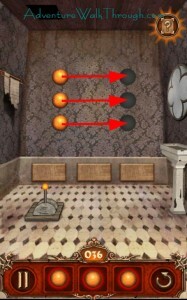 First collect the three orange balls on the screen. 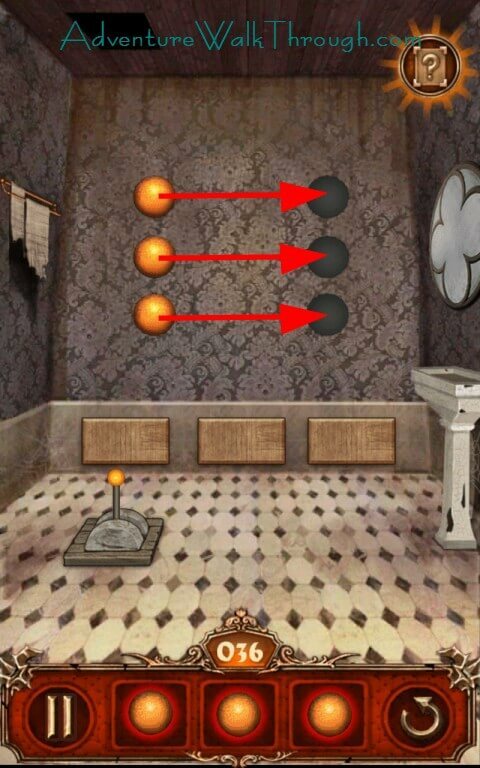 Tap the balls in your tool bar. 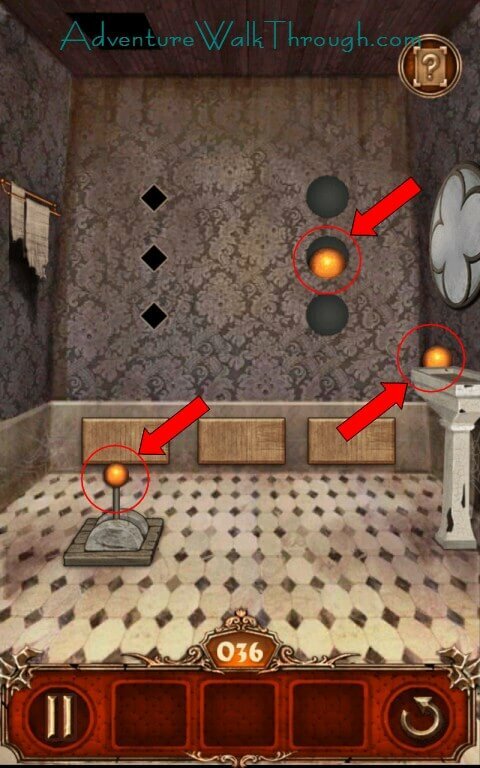 Tilt your device so that the balls roll to the holes on the right. 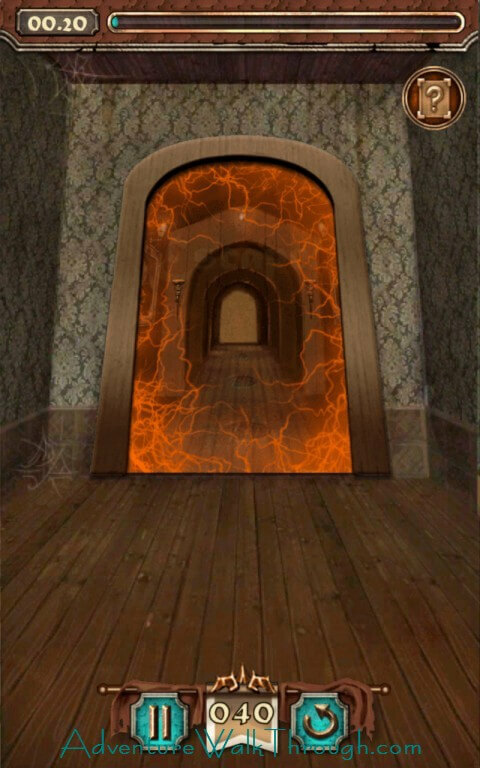 The wall will then break down making way for your escape. 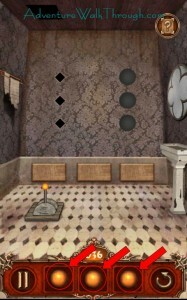 Tap the round buttons and change the picture on it. 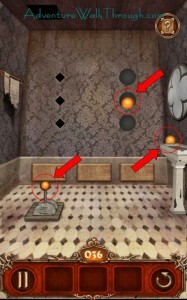 The goal is to have the patterns opposite of each other to be the same. 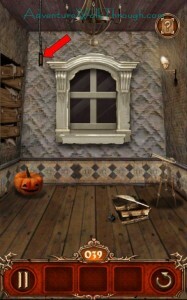 Once you finish the setup, the wall breaks down and you can then escape from the room. 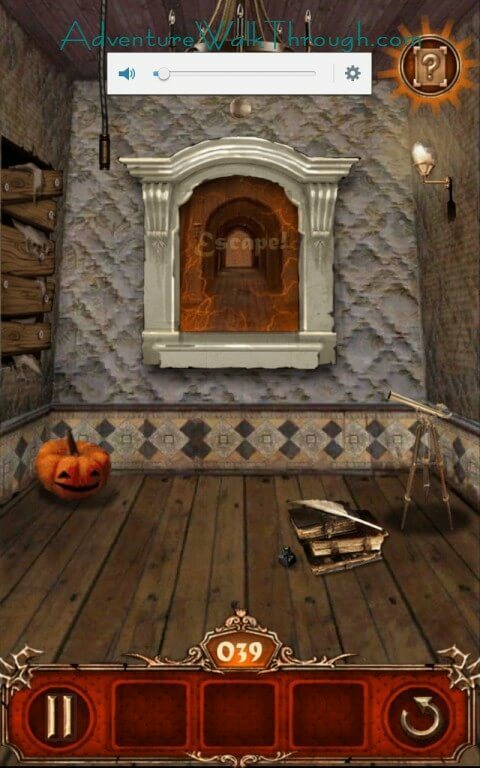 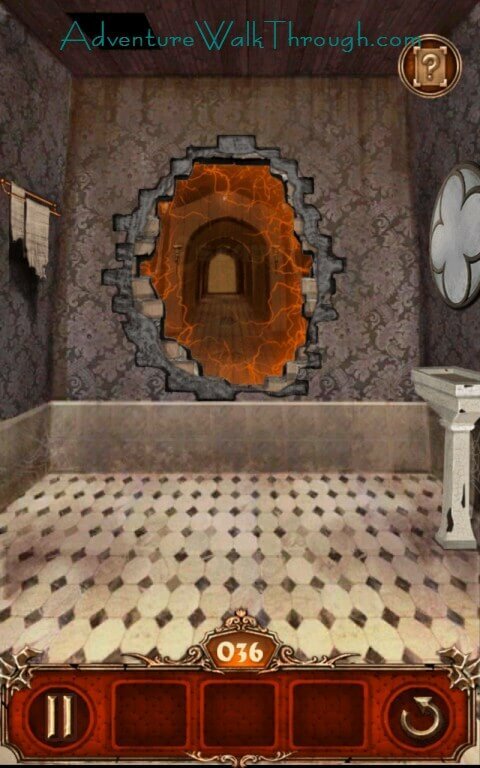 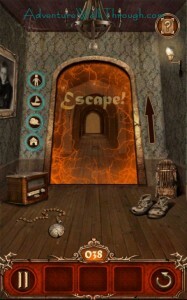 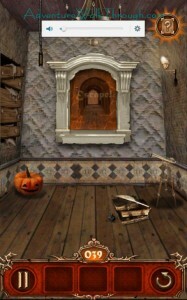 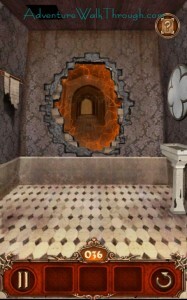 The secret to escape from this room lies on the picture in the back. 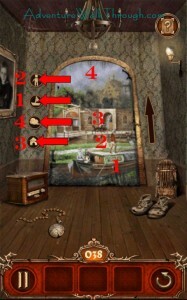 Note the order of the pictures from the direction of the UP arrow to the right: 1: Boat, 2: Person, 3: House, 4: Cloud. 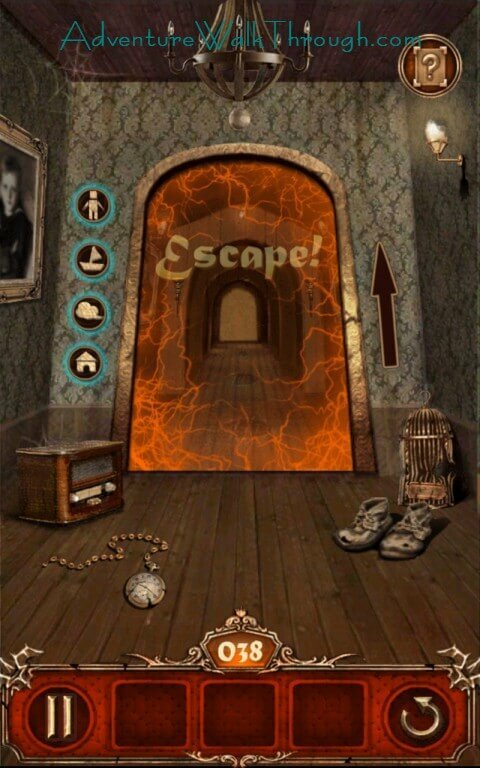 Now look at the button to the left, press the buttons in the order to unlock the room and escape. 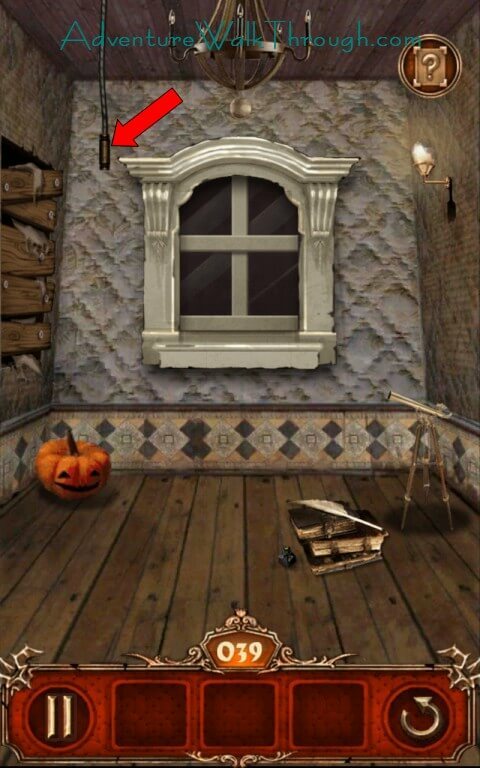 Pull the rope on the left next to the window first. 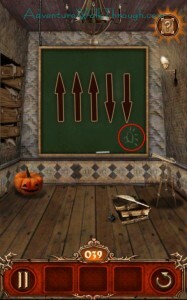 You will then see a screen with the arrows and a trumpet horn on the bottom right. With that clue, turn the volume buttons on your mobile device in this order: Up, Up, Up, Down, Down. The window gets unlocked after the sequence for you to escape through it. 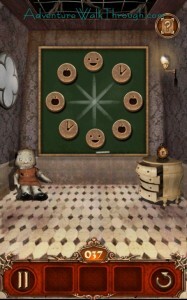 This is a challenge room that you must complete within a set of time. 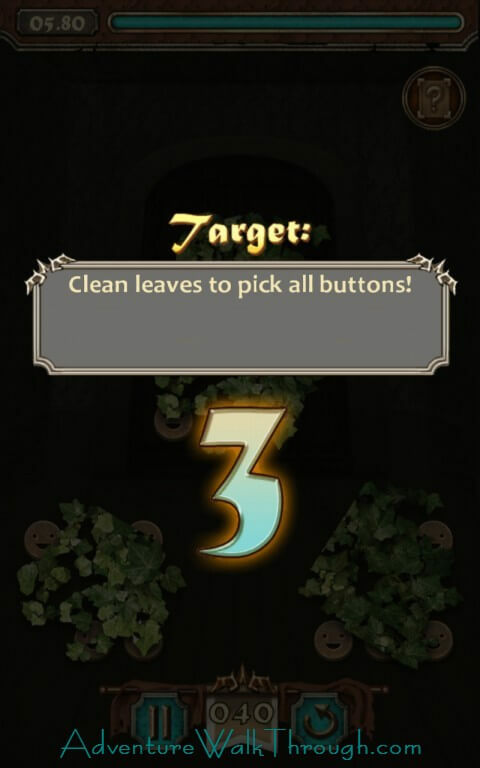 Pick up all the buttons by cleaning out the leaves. The trick to beating the stage is to use all of your fingers to “clean” the leaves. Consider using a piece of cloth to minimize the friction and save your finger from blistering. 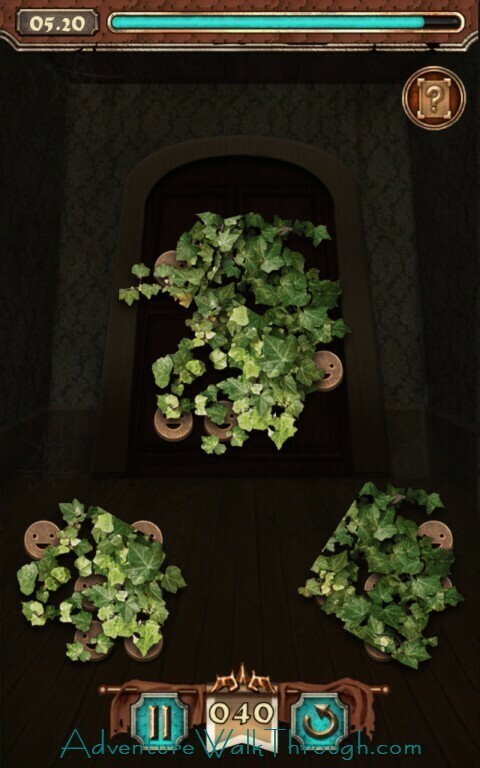 The door opens after collecting all the buttons and you shall make your escape.